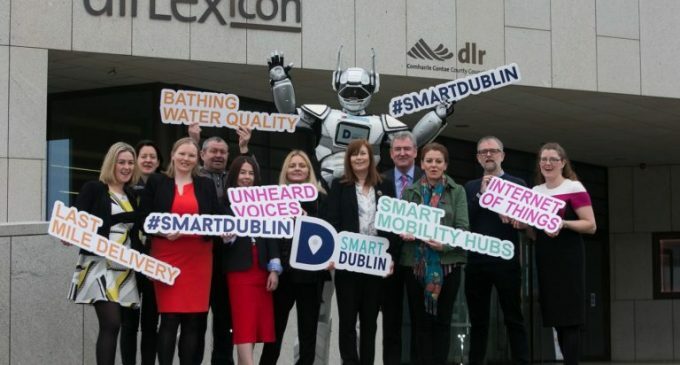 Smart Dublin is an initiative of the four Dublin Local Authorities to engage with smart technology providers, researchers and citizens to solve challenges and improve city life. Dún Laoghaire-Rathdown County Council recently hosted the launch of the 2018 Smart Dublin Challenges at dlr LexIcon, Dún Laoghaire-Rathdown’s smart library. The funding has been increased from €600,000 in 2017 to €900,000 in 2018 after the successful implementation of the strategy in 2017. SBIR Ireland’s aim is to drive innovation across all sections of the Irish Public Sector via robust engagement with technology rich companies and organisations, through competitive challenges. Bathing Water Quality– Dún Laoghaire-Rathdown County Council and Waterford City and County Council seek smart, low cost solutions to collate and communicate the quality of bathing water using all sources of information for the use of all stakeholders. Smart Mobility Hubs– Dublin City Council is looking to test smart, low cost shared mobility options for staff through integrations of e-cars, e-bikes and push bikes through the piloting of a smart mobility hub service solution. Internet of Things– Dún Laoghaire-Rathdown County Council seeks smart, low cost solutions to facilitate connections over DLAI/TALQ to an IoT radio frequency mesh network in order to allow connectivity and communications over the entire network infrastructure. Last Mile Delivery– Dublin City Council is seeking smart, low cost solutions to optimise freight and cargo deliveries in urban centres in order to reduce the number of goods vehicles and improve air quality and noise pollution. Unheard Voices– Fingal County Council and Cork City Council seek smart, low cost solutions to encourage engagement of the ‘unheard voices’ in decision-making about the future of their place. Pictured (L to R): Nicola Graham, Smart Dublin Regional Data Coordinator; Maeve McGonnell, LexIcon Library; Marguerite Bourke, Manager, SBIR Ireland, Enterprise Ireland; Tony Lawlor, Challenge Champion (Bathing Water Quality), Dun Laoghaire Rathdown County Council; Claire McVeigh and Liz Fallon, Unheard Voices, Fingal Co Council; Therese Langan, Transformation Project Manager, Dun Laoghaire Rathdown County Council; Kevin Sherry, Executive Director, SBIR Ireland, Enterprise Ireland; Sorcha Donoghue, Dun Laoghaire Rathdown County Council; Ronan Herron, Digital Strategy Officer, Dun Laoghaire Rathdown County Council; Mary Hegarty, Challenge Champion (Internet of Things), Dun Laoghaire Rathdown County Council.